Advanced scuba diver is the next step in your underwater adventures. If you've completed your Scuba Diver certification, you can enroll into this course. 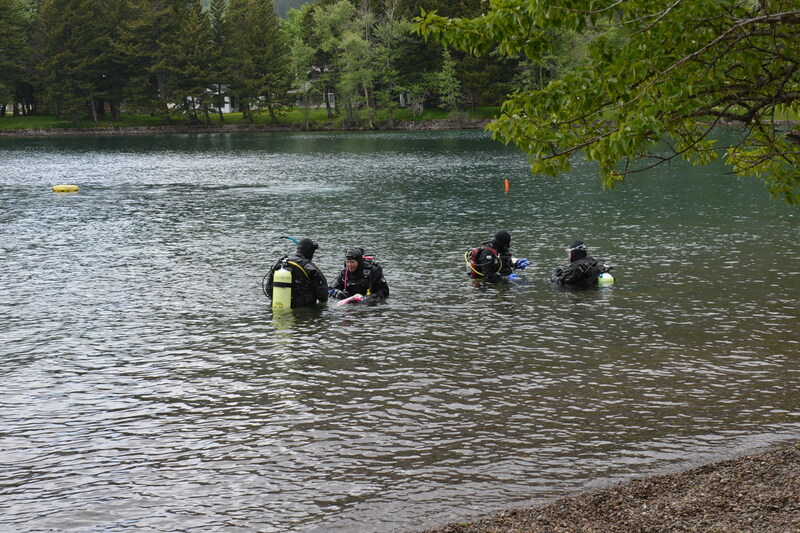 Many divers start getting their own gear by this course so it is not included in the price. If you do not own your own gear ​rental gear is available for $75 for the duration of the course which includes a regulator, B.C., wet-suit and hood. Let your underwater adventure continue! Apply your skills as you explore new dive sites and activities under the supervison and training of your Instructor. Learn which diving specialties interest you, and what type of diving you enjoy most. This course helps build confidence and expand your scuba skills through experiencing different dive conditions. You try out different specialties while gaining experience under the supervision of your Instructor. You log dives and develop capabilities as you find new ways to have fun scuba diving. You'll plan your learning path with your Instructor by choosing from a long list of available dives. Deep and underwater navigation are two required dives of the five needed for PADI Advanced Scuba certification and Deep, Night, and Underwater Navigation are three required dives of the six needed for NAUI and SDI Advanced Scuba certification. During the Deep dive you learn how to plan dives to deal with the physiological effects and challenges of deeper scuba diving. The underwater navigation dive refines your compass navigation skills and helps you better navigate using kick-cycles, visual landmarks and time. The other knowledge and skills you get vary with your interest and the adventures you have: shore diving, boat diving, underwater photography, search and rescue, altitude diving, marine identification, light salvage, current diving, and dry suit diving. The Advanced Scuba Diver course is the next step in your underwater adventure as an already certified scuba diver. As long as you are in good physical condition, and have your Scuba Diver certification, you can enroll in an Advanced Scuba Diver course. What scuba gear will you need? Beyond the basic scuba equipment, you'll need a compass and dive knife/tool. You will also use specialized gear depending on the different dives you choose. The Advanced Scuba diver course costs $275. This includes the use of tanks and weights for all required dives. Many divers start getting their own gear by this course so it is not included in the price. If you do not own your own gear rental gear is available for $75 for the duration of the course which includes a regulator, B.C., wet-suit and hood. Once you become an Advanced Scuba Diver, a whole world of exciting opportunities awaits you. Perhaps you want to further your training with a Rescue Scuba Diver or Master Scuba course, or hone your skills with of our specialty courses, such as Underwater Photography, Nitrox, Deep or Drysuit diver. Maybe you want to become a dive professional and go all the way to Divemaster or even become an Instructor! Whatever your scuba diving needs, we can help you realze your dreams!